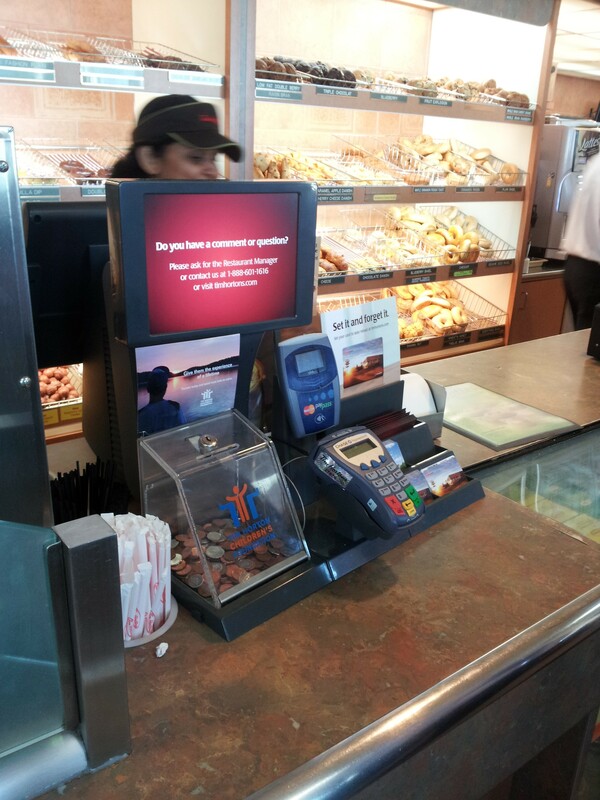 Canadian coffee chain Tim Hortons, one of the original mass-scale adopters of digital signage, is set to roll-out additional customer-facing 10” Point of Purchse (POP) screens, directly at register-level. 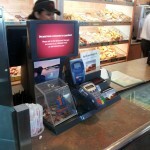 Built into an attractive plastic fixture, the 10” screen broadcasts general information, promotions and specials punctuated by order and cash tender information during the transaction. 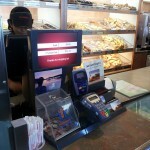 It appears that Tim Hortons opted for a stand-alone screen instead of one affixed to the POS System, due to varied POS hardware across many franchise, licensed and corporate locations. 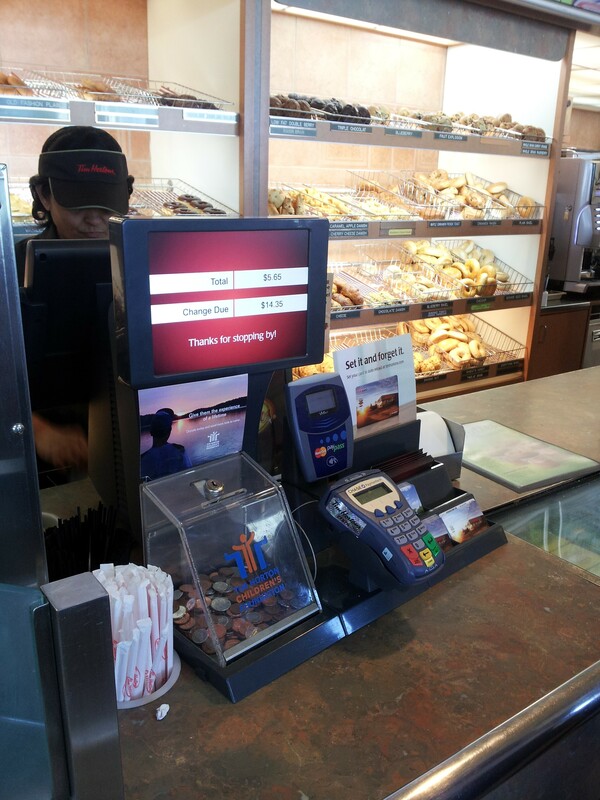 Tim Horton’s has long been viewed as an early pioneer of digital signage in the Quick Service Restaurant (QSR) vertical, originally rolling out an EK3-powered, single screen set-up over 4 years ago. The single ‘feature screen’ layout has since grown to fully digital menu boards, recently rolled out to most of the chain’s 3000-plus locations. The addition of the 10” POP screen shows the chain’s continuous investment and obvious recognition of the benefits of digital signage at point of purchase. This entry was posted on Thursday, August 9th, 2012 at 03:31 @188 and is filed under DailyDOOH Update. You can follow any responses to this entry through the RSS 2.0 feed. You can leave a response, or trackback from your own site.